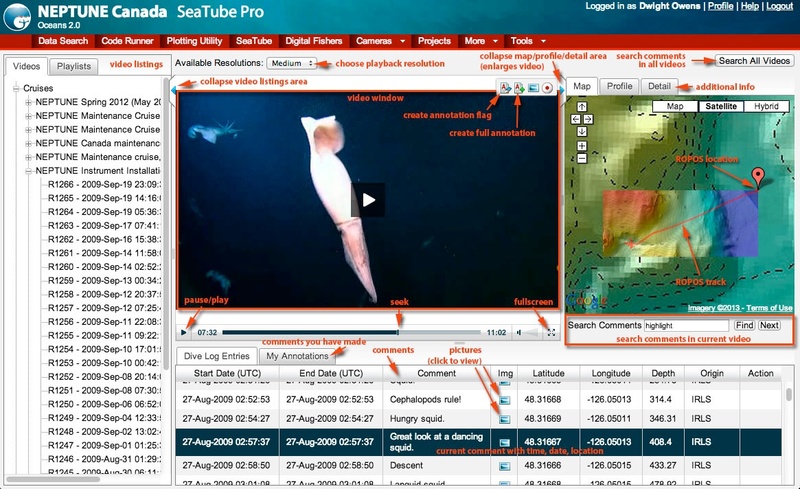 SeaTube is a video player that lets you watch, search and comment on Ocean Networks Canada deep-sea videos. SeaTube was originally developed to help you watch remotely operated vehicle (ROV) dive videos recorded during our maintenance and installation cruises. You can also watch recorded videos from our seafloor video cameras.